The New Country Inns at The Bluebell Inn is a modern redbrick property located in the Yorkshire town of Barnsley, 500 metres from Silkstone Golf Course. The hotel's 41 guestrooms have contemporary light decor, pastel carpets and wood furnishings. All offer satellite television, writing desks, coffee tables, chairs, coffee/tea making facilities and designer toiletries. Priory Inn is located in Tetbury, England, in the Cotswolds, five miles from the Westonbirt Arboretum. Kemble train station is six miles from the hotel and the spa town of Bath is 20 miles away. Hotel Features. Housed in a historic 17th century building, this country hotel features a traditional bar with an open log fire, bare floorboards and oak tables. Japanese influenced spa and massage treatments are available on request. The Mary Arden Inn is located in the Warwickshire village of Wilmcote, England, opposite the house of Shakespeare's mother Mary Arden. Wilmcote is two miles from the centre of Stratford upon Avon, home of the Royal Shakespeare Company. Wilmcote Railway Station is 200 metres from the Inn. Hotel Features. Located in the village of Guyhirn in Cambridgeshire, The Oliver Twist Country Inn overlooks the River Nene and is close to the historic city of Cambridge and Ely Cathedral. The Oliver Twist Country Inn combines a restaurant with an excellent reputation and 4 star guest accommodation with the option of a twin room, disabled twin room or double room. All 6 bedrooms are en-suite and built to a high standard. The Swallow Hotels Waterside Inn is a purpose built hotel set in extensive gardens on the banks of the estuary of the River Ugie, 15 miles from the famous Cruden Bay Golf Club. The 105 guestrooms feature cream walls, stone coloured fabrics and modern light wood furniture. The Stay Inn is located in Manchester, England. 700 metres from Deansgate's shopping and nightlife One mile from the city centre 2.5 miles from Old Trafford Stay Inn Features. Modern three storey red brick building 24 hour front desk with safe deposit box Wireless Internet access in public areas Complimentary newspapers in lobby Complimentary secure parking Guestrooms. Centrally located, clean comfortable and friendly and renowned hotel. Conveniently located for West End, Westminster Abbey, Buckingham Palace, Tate Gallery and Victoria. Underground station 3 minutes walk. The Pear Tree Inn is located in Whitley, England. Melksham is 2.5 miles away, Bath is nine miles away, and Bristol is at a 22 mile distance. Chippenham is the nearest train station, situated seven miles from the hotel. Hotel Features. Surrounded by Wiltshire countryside, the Pear Tree Inn is a traditional English country inn featuring a greenery clad stone facade, and opens to a garden area with terrace. The Scole Inn is housed in an imposing 17th century coaching inn situated within three miles of the old Norfolk town of Diss, 20 miles from the city of Norwich. The hotel's 34 guestrooms have traditional style decor with period details such as fireplaces, and all include satellite television, direct dial phones, tea and coffee making facilities, and bathrooms with toiletries and hair dryers. The Hurtwood Inn Hotel is located in Peaslake, England, eight miles from Guildford and 15 miles from Wisley Gardens. Hotel Features. Built in the 1920s, the Hurtwood Inn Hotel is a privately owned three storey property in the village of Peaslake. Amenities include a restaurant and bar, laundry services, and Internet access. Complimentary parking is available. A complimentary full English breakfast is served each morning. Les Cordeliers Inn is a comfortable 2 star Inn, located conveniently in Guernsey's capital, St Peter Port. Les Cordeliers Inn, Guernsey, is just a ten minute walk from the heart of St Peter Port and all it has to offer, such as cafés, museums, shops and more. 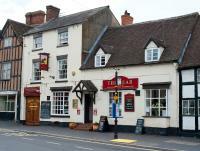 Les Cordeliers Inn offers 16 en-suite bedrooms in twin, double, single and family room types.